Can Your Employer Retaliate Against You for Filing a Workers’ Compensation Claim? Many employees who are injured at work or develop an illness due to work conditions are too afraid to take time off or to file a workers’ compensation claim. This is true even if they are good employees who are relatively secure in their jobs. They fear that their employer will take a negative action against them if they file a claim. Are these fears legitimate? Can an Employer Retaliate Against an Employee for Filing a Workers’ Comp Claim? In New Jersey, it is illegal for an employer to retaliate against a worker for filing a workers’ compensation claim. An employer is also prohibited from retaliating against an employer who testifies at another employee’s workers’ compensation hearing. However, this does not mean that employers do not engage in this illegal practice. Some employers continue to frown on or discourage employees from filing a workers’ compensate claim. Some outright blatantly retaliate against these workers. What Must You Show to Prove You Are the Victim of Retaliation for Filing a Workers’ Comp Claim? You are an employee entitled to receive workers’ compensation benefits under New Jersey law. You took a protected action—like filing your claim for workers’ comp benefits. You suffered an adverse employment action, such as a pay reduction, demotion, or termination. Your employer’s motivations for taking the actions against you were based on your protected actions. You must be an employee, and your employer must participate in New Jersey’s workers’ compensation program or be self-insured to be protected against retaliation. You generally must have also acted in good faith in applying for workers’ compensation benefits and be engaged in a protected activity. To be considered a protected activity, you must be exercising a right under New Jersey’s workers’ compensation laws. New Jersey’s law broadly protects workers who apply for workers’ compensation benefits, or attempt to do so, from retaliation. It also protects workers who testify at another employee’s workers’ compensation hearing or plan to do so. What Remedies Do You Have If Your Employer Retaliated Against You? If you believe your employer retaliated against you for filing or attempting to file a workers’ compensation claim, you can file a complaint with the New Jersey Department of Labor and Workforce Development or file a civil lawsuit. You will want to act quickly to file your complaint within the strict time limits for doing so. Your remedies could include reinstatement to your former job, payment of back pay, and payment of other compensation. 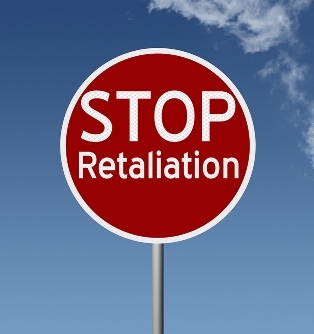 You should consult with an experienced workers’ compensation attorney before filing a complaint for retaliation. He can advise you whether filing a civil lawsuit or an administrative complaint is your best option. He can also help you build your case and pursue your workers’ compensation claim as well as your retaliation complaint. If you believe you were discriminated against for filing a workers’ comp claim, let Manfred Ricciardelli help you pursue all your legal options for the compensation you deserve. Start an online chat to schedule your free consultation.